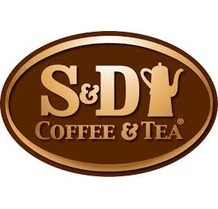 S&D Coffee & Tea is a premiere, national supplier of coffee, iced tea, and extracts. We are constantly growing and transforming to meet customer needs. Our story began in 1927 when our founders realized the need to bring coffee to the local area through grocery store delivery. That vision expanded to the foodservice arena as we recognized the growing demand for quality coffee away from home. Today, we are the largest custom coffee roaster and the largest blender of foodservice iced tea in America. We also have a thriving ingredients business which capitalizes on the strength of our commodities purchasing power, extracting coffee, tea and botanicals for use in a variety of food and beverage applications. 0	jplist-folder-All-Posts-42620 Insights-Insights	jplist-topic-Coffee jplist-topic-Cold-Brew jplist-topic-S-D-Coffee-And-Tea jplist-topic-Tea	0	07/10/2018 15:57:59	Cold Brew of Iced Coffee, which is a better on a hot summer day? Click to view our training for single serve cups. 1	jplist-folder-All-Posts-42620 jplist-folder-All-Posts-42620 Product-Info-Product-Info	jplist-topic-Coffee jplist-topic-Single-Serve-Coffee	0	08/11/2015 09:58:03	Click to view our training for single serve cups.